before you run out of month? and even to live WELL. As a military spouse and a service member myself, I learned many ways to stretch a military paycheck. As a Navy JAG offering Legal Assistance, I helped many military families with their financial challenges, which ranged from simple lack of knowledge about money management to being taken advantage of because they were in the military. And I know I can help your family, too! 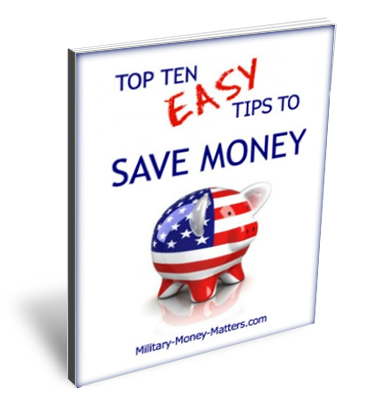 When you subscribe right now, I'll send you my new special report, "Top Ten Easy Tips to Save Money." from	cleaning	supplies	to	telephone	service	to	paint. Learn money-saving secrets from multi-millionaires. Find new ways to help YOUR family save money! And I'll send you additional money-saving tips each week, including lots of ways to save money on groceries and everything else you buy. of military families living well on a military paycheck!